Daniel Edward “Denny” Norris suddenly departed this earth on Sunday, January 6 at his Galveston residence. He is survived by his wife Amber Norris, his children Jonathan Edward Norris, Hope Marie Norris, and Ian Edward Norris, daughter-in-law Jennifer Saia Norris, grandson Austin Edward Norris, his father Edward Lee Norris, sister Joyce Norris DeWitt, brothers-in-law Frank Belt and Kenneth DeWitt, sisters-in-law Gentra Belt, Delana Hill and Jeana Hill, numerous aunts, uncles, nieces, nephews, cousins, and a vast number of friends all over the world. His mother, Henriette Keprta Norris, preceded him in passing away. Partly because his initials were “D.E.N.,” and partly out of admiration for The Beach Boys drummer Denny Wilson, he resolved to change his name to Denny in 6th grade. It stuck with all his friends, and although his immediate family always called him Danny or Dan, he became known to most people as Denny. Denny graduated from Ball High School in 1972. He attained his 3rd mate license as a merchant marine and spent 40 years in the shipping industry. Denny was fascinated by all things ocean, sea, and shipping. He spent his boyhood surfing and water skiing, and his young adulthood sailing and boating. Other things the young Denny greatly enjoyed were hunting and fishing, especially at his grandparents’ farm in East Bernard, Texas, his father here in Galveston, and his brother-in-law Ken DeWitt. He also loved riding his bike all around the Galveston streets in the west end with his school and neighborhood buddies. He was a multi talented musician and taught himself to play drums and guitar. Music was his passion and he began playing in bands as early as Jr. High. He played throughout his life and spent his last fifteen years happily drumming with different groups all over Galveston Island and vicinity. Most recently he played with his band, The Buzzards. Due to his interest in maritime history, he became a skilled craftsman as he learned the art of 18th Century Marlinespike Fancy Knots. He eagerly shared his talent with the local youth in the Galveston County of the Cubscouts and Boyscouts. To receive a knotboard or a sailor’s cross tied by Denny was a special gift. He was featured in Coastal magazine as an island artist. Denny was a quick wit with a glib style and had many stories of his escapades and adventures as a kid growing up on the island, and as a young man sailing the seas, boarding ships, and working with ships’ captains from all over the world. He also regaled folks of his days of playing music and the ten years that he spent living and working in New Orleans. He was very comfortable in the New Orleans setting, acclimating well, even being invited to roll with various krewes in the famous Mardi Gras parades there. Denny never met a stranger and made friends wherever he went. He was a generous soul who was eager to extend a helping hand to both old friends and new acquaintances. He had a knack for remembering names and it seemed like everywhere he went, he would run into someone he knew. 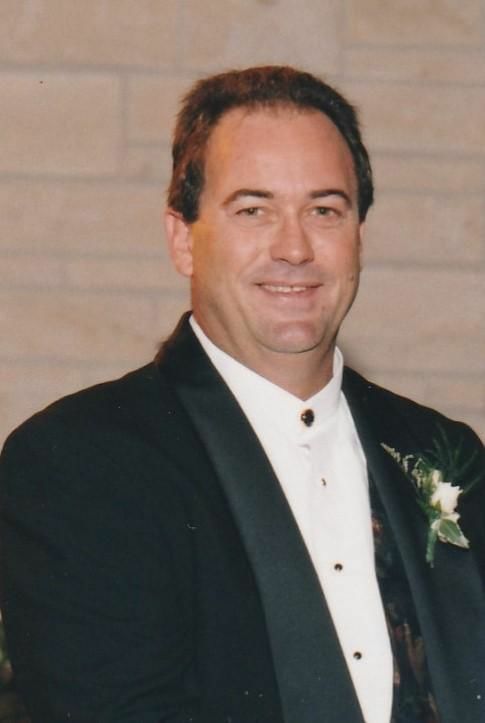 Denny was a beloved son, brother, husband, father, and friend who will be sorely missed. Denny’s last five years were spent attending to his mother and father as they declined. He lived very near, and was at their side every day helping with their care. He honored them well. His family and especially his children were always near and dear to his heart. We will remember his gift for gab, his jokes and stories, and most of all his smiling eyes, constantly drumming fingers, and warm heart. 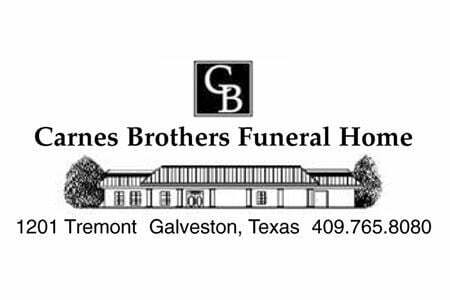 Funeral services will he held 10:00 a.m. Saturday, January 12, 2019 at Carnes Brothers Funeral Home in Galveston. The family will receive visitors on Friday, January 11, 2019 from 5 p.m. to 8 p.m. at the funeral home.